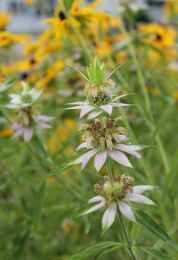 Also called Bradbury's Bee Balm, this Monarda is shorter and more compact than the popular classic prairie plant Monarda fistulosa, or Wild Bergamot. 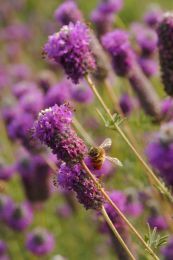 Bradbury's Monarda is an excellent choice for home landscaping, tolerating sun and shade conditions and average garden soil. 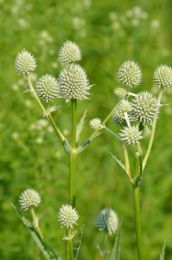 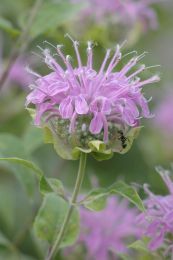 Like all Bee Balm species, it has a wonderful minty smell, is deer resistant, and will attract many pollinating insects. 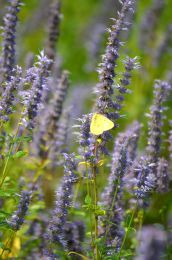 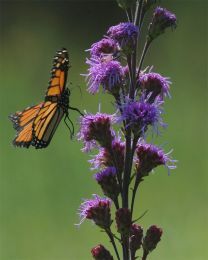 Q Amy Kvalseth • 06/11/2018 Is Bradbury's Monarda a native plant or a hybrid? 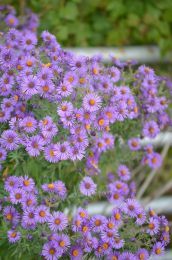 A Prairie Moon • 06/12/2018 Hi Amy. 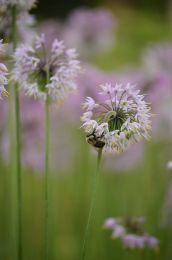 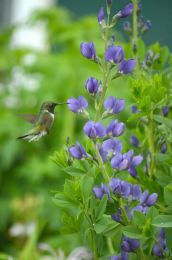 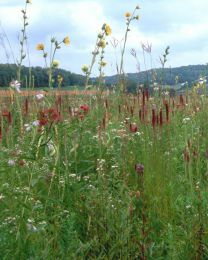 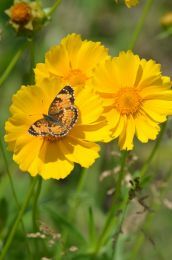 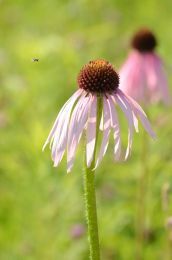 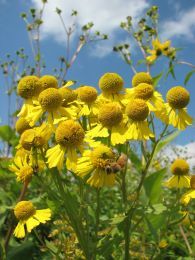 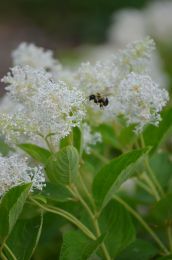 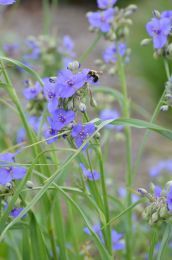 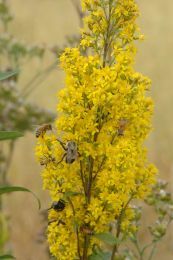 We only sell native wildflowers - no hybrids or cultivars. 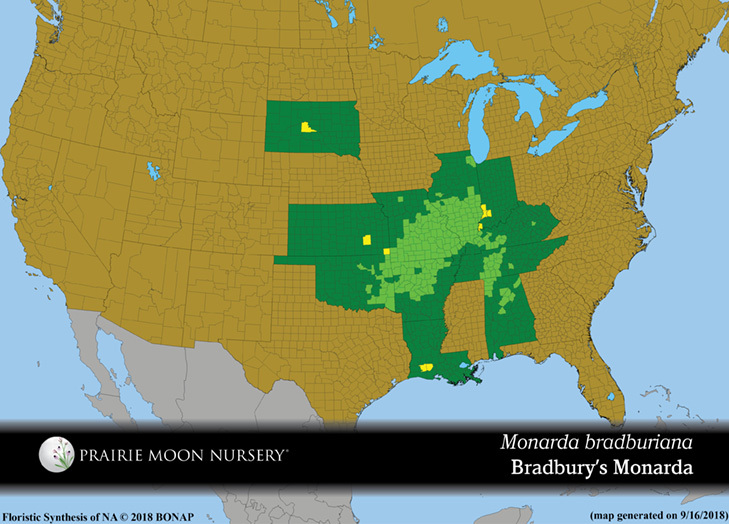 If you look at the 'RANGE MAP' tab, you'll see the documented native range of Bradbury's Monarda. 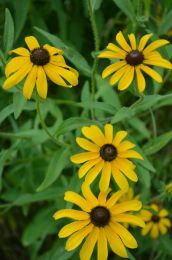 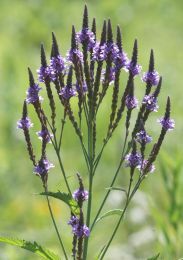 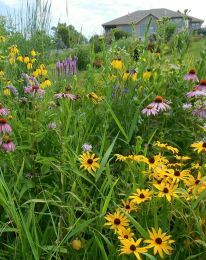 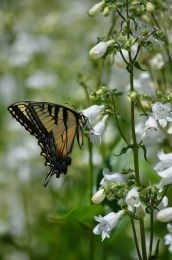 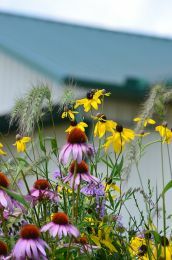 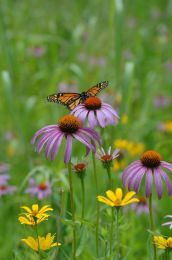 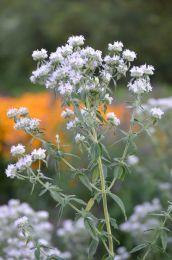 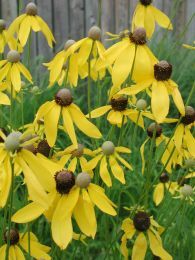 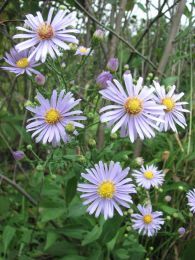 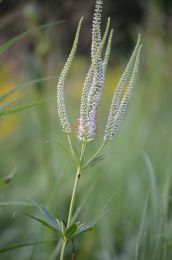 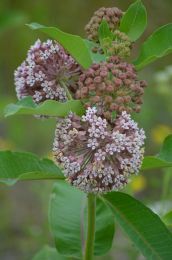 Although its native range is south of us in MN, it does very well here in our gardens and prairies.